Los Angeles Lakers president of basketball operations Magic Johnson has criticised the New Orleans Pelicans for their behaviour in trade talks for Anthony Davis. The Lakers sought to do a deal for the superstar before the trade deadline and are said to have put their entire young core plus veterans, two future first-round draft picks and salary cap relief on the table in order to do a deal. 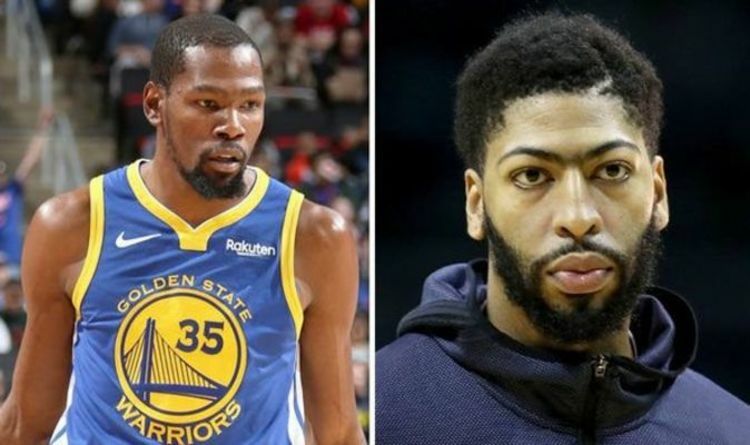 But New Orleans held firm to keep Davis until the summer, when the Boston Celtics and New York Knicks could rival the Lakers for the 25-year-old forward. The Lakers have twice lost heavily since the talk of going big for six-time All-Star Davis, losing by 42 at Indiana before a 143-120 loss to the Philadelphia 76ers on Sunday. Speaking ahead of that game, Magic said when asked if the Pelicans acted in good faith: “No. We knew that basically the other day what happened, happened. “And we knew that when we first started in terms of what happened. But hey, it is what it is. All deals are… a lot of them are made in public. We didn’t make it in public, but that’s part of it. That’s what happens, man. “We’ve got big boys here and they bounce back. They’re fine. What happened, whose name was mentioned, all that. That’s over with. “That was Thursday. This is now. Everybody got to buckle up, and we’ve got to move forward. The New York Knicks have deleted a promotional picture including Kevin Durant for their season ticket renewals. Shopping their 2019-20 tickets at Madison Square Garden, the Knicks used a picture of center Mitchell Robinson going head-to-head with Durant of the Golden State Warriors. The two-time Finals MVP has been strongly linked with a move to New York if he opts out of his contract to become a free agent in the summer and the Knicks received a strong backlash for what was perceived as a cheeky marketing ploy. In an official statement, the Knicks said: “Game action photos are used all the time for marketing purposes, but given everything going on, we took the precaution of taking the photo down. Speaking recently on rumours, Durant said: “I have nothing to do with the Knicks. I don’t know who traded [Kristaps] Porzingis. It got nothing to do with me. I’m trying to play basketball. NBA legend Shaquille O’Neal says he would never trade Kyle Kuzma if he were the Los Angeles Lakers. Kuzma dropped 39 points on the 76ers on 14-of-21 shooting after having 25 points against the Boston Celtics, going five-of-eight from behind the arc in both games. The third-year forward is averaging 19.1 points, 5.6 rebounds and 2.4 assists this year. But he was almost traded away in a deal for Anthony Davis. And Shaq, who won three straight championships with the Lakers, thinks L.A. should hold on to the 23-year-old for dear life. He told NBA on TNT: “The trade deadline is over. So now the guys have an opportunity, a couple of months to show up and play.